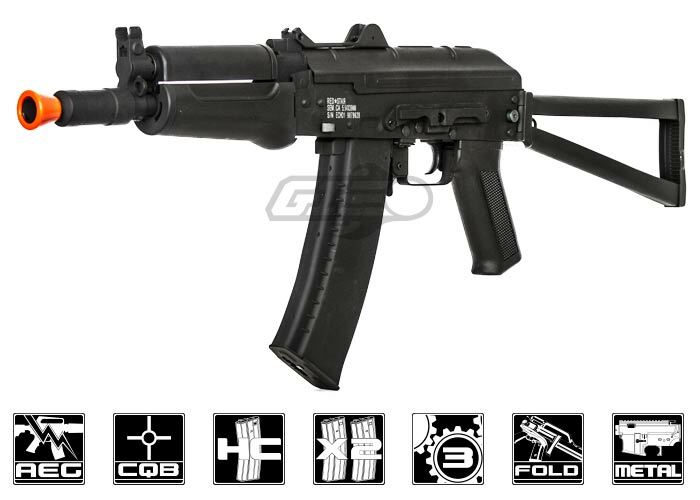 The people who work at Echo1USA are avid airsoft players themselves, so they know what it takes to make a great gun that will appeal to true-blue airsoft players. . Echo 1 is committed to designing and manufacturing the best, most affordable airsoft guns and accessories on the market today, bar none. 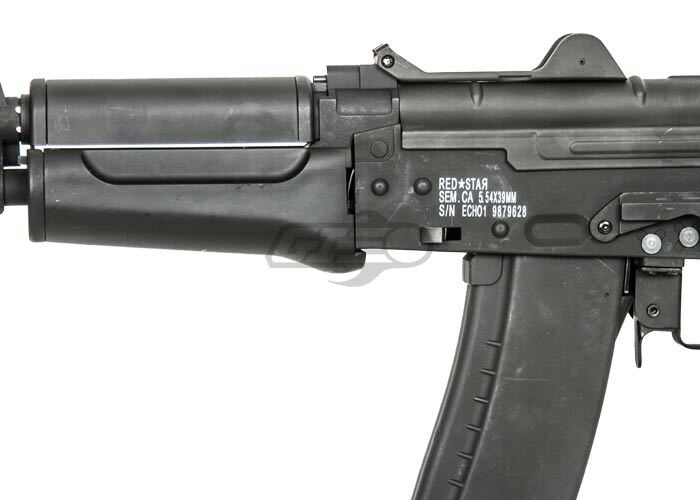 The Echo 1 Red Star CPM AK74UN Black Carbine AEG Airsoft Rifle from Airsoft GI is a prime example of this company's commitment to quality and value. Solid, heavy and made of metal, this authentic-looking gun is built to last. It's also made to satisfy your lust for high performance and victory on the battlefield. 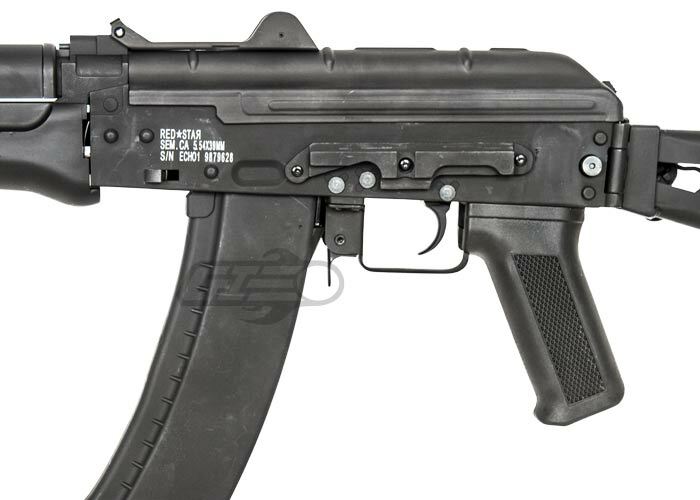 Simply put, the Vector Arms Full Metal CPM AK74UN is a great full-metal A.E.G. 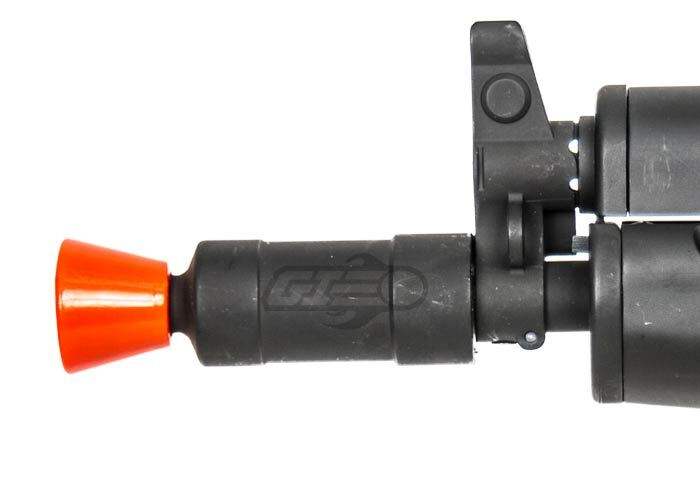 from one of the quickest-growing airsoft companies in the industry, Echo 1. 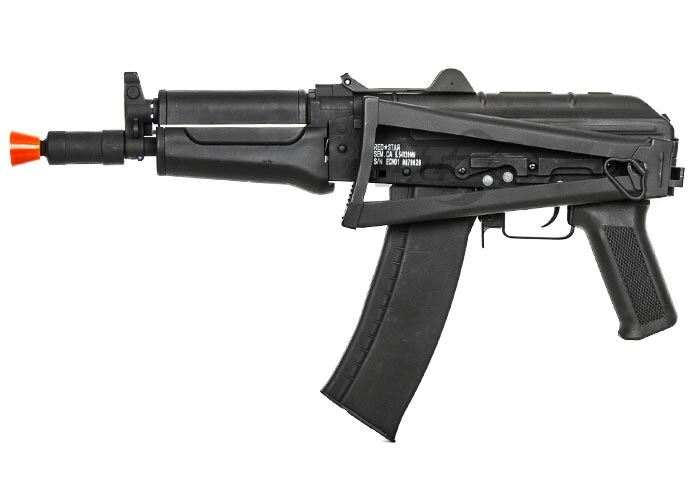 The AK74UN may be small, but it packs a powerful punch. 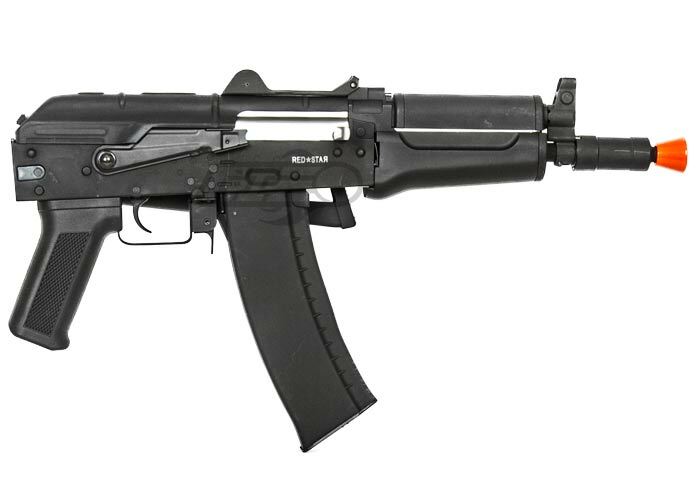 Like all Red Star A.E.G.s, the AK74UN has a metal receiver, receiver cover, barrel assembly and side-folding stock. The side mounting plate allows for scopes and other accessories to be mounted on the airsoft gun to customize it the way you want. There are real stamps on the receiver that show off Red Star trademarks. 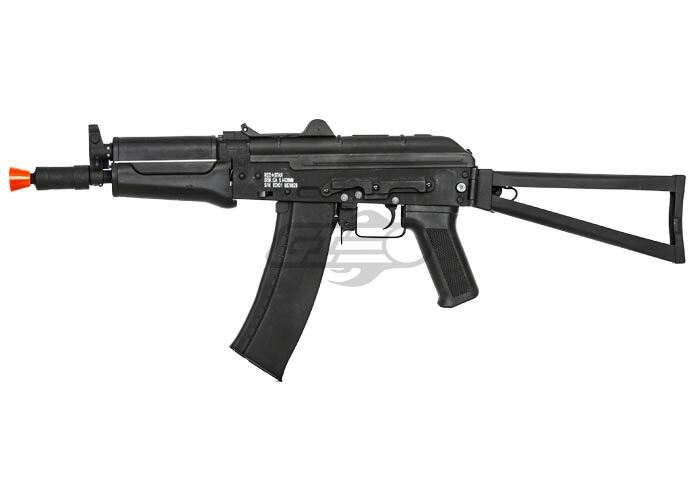 This is an excellent choice for anyone who enjoys the design of the AK74UN but is unable or unwilling to spend the money for a VFC. Im not sure if this is my gun, first off. I got the Echo 1 Vector arms cpm yadda yadda yadda. But if this is the same gun, then it ROCKS!!! My gun has seen many fights, and has preformed flawlessly except for one thing, It cannot use p-force biodegradable bbs, they feed on and off on semi, and not at all on full auto. I love playing with this gun, and it works as well as asgi custom guns like the desert knight hog! 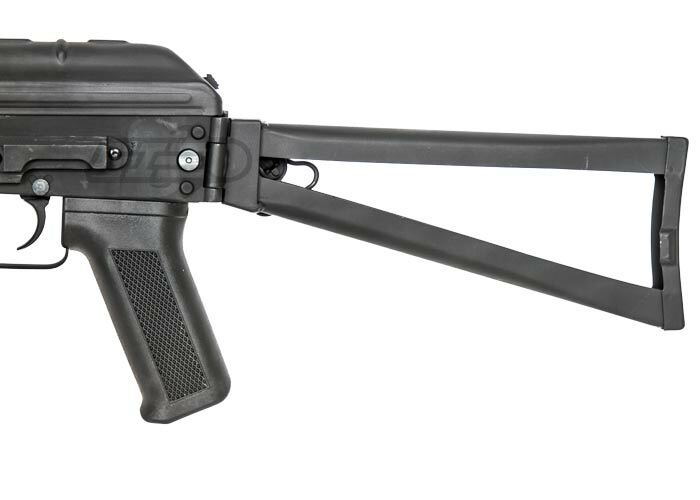 FYi, its heavy, the ares full length g36 weighs less. really acurate for its size!!! I got this gun for my birthday, though I had planned to get the VGM model. I have to say, Im happy I bought this gun. This gun can hit a human size target at roughly 120 feet using .25's. It's size is perfect, and the metal makes it heavy. Everything on this gun is solid except for the mags, which wobble. MIne came with the front sight and outer barrel slightly bent, but this didn't affect the performance. The folding stock is great, but I would suggest that you get a vertical foregrip if you can, since in the middle of battle I usually end up holding the mag. Can this Redstar use other Redstar mags? If I buy this weapon can I use the same mags that my Redstar covert uses?